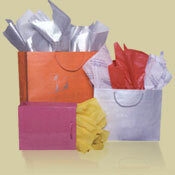 T-shirt bags offered in 5 different sizes, or made-to-meseare fabrication (minimum required). Printed t-shirt bag from a minimum of 10 000 bags. Material oxo-degradable are available for certains sizes. 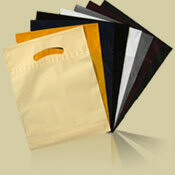 Printing for minimum of 1000 bag one color one side. With a minimum of 3000 bags, we can start the flexo print with more than one color. 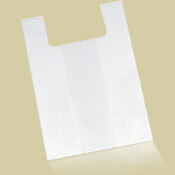 Shopper paper bags with a string handdle, available from 100 bags. Natural kraft or a selection of color. We are willing to print those bags starting at 100 bags.